- This stylish photo frame is made of aluminium and has a classy silver finish. The photo frame has designs all around, and can hold a 4 x 6 inch photograph. 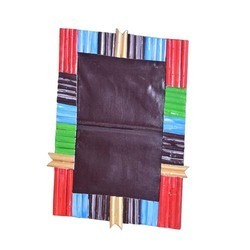 We offer a wide range of Bamboo Photo Frames that are known for their attractive looks and perfect finishing and are available in various sizes and designs as per the requirements of the clients. We offer these frames at most competitive prices. 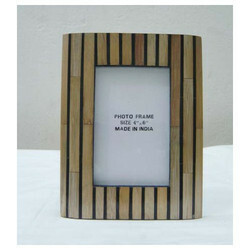 Bamboo Photo Frame is offered by us that can be use for gifting purpose, due to its eye catching appearance.